Health spending was estimated to reach $6,604 per Canadian in 2017. This soaring cost has caused a lot of discussion about pharmacare Canada. The National Health Expenditure Database (NHEX) research found that forecasted expenses were nearly $200 more per person in 2017 than in the previous year. What Is Changing In Pharmacare Canada? 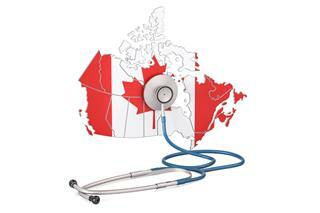 Canadian healthcare services are funded publicly through 13 provincial and territorial systems. The healthcare system is informally referred to as medicare and is guided by the Canada Health Act of 1984 and the provisions associated with it. The funding covers patients' visits to the doctor and hospital care that is considered medically necessary. But after that, coverage stops. This leaves many Canadians struggling to afford the drugs they're prescribed. This is where universal pharmacare comes in. Canada had the second highest costs for medications, compared to the nine other countries that provide universal healthcare. Unfortunately, this even accounts for common conditions like high cholesterol and hypertension, as found by a 2017 study published in the Canadian Medical Association Journal. This is surprising when you look at all the other countries in the world offering universal healthcare. Canada is the only one of those countries that does not provide universal drug for their civilians. Universal pharmacare is the proposed solution. It's a drug benefit program that aims to ease the burden of rising drug prices. But this isn't the first attempt to provide more affordable drugs or to make drugs more accessible for the general public. What Is the History of Pharmacare Canada? Talks of universal drug coverage in Canada have been around for over 50 years. In 1964, the Royal Commission on Health Services made recommendations for it when focusing on medicare. Fast forward to April 2018. The Standing Committee on Health recommended a single-payer, universal prescription drug plan for Canada. This came from their latest report. In the meantime, other measures have been taken to keep prices from soaring even more. In January 2018, the pan-Canadian Pharmaceutical Alliance announced that generic drug prices will be cut 25 to 40% for provincial/public drug plans. This was in exchange for suspending open tenders for five years. This announcement impacts a lot of recipients of prescriptions. In fact, more than 70% of all prescriptions reimbursed under Canada's public drug plans are generic drugs. Several provinces have made attempts for their residents as well. In fact, from 1975 to 1987, Saskatchewan provided a universal, comprehensive drug benefit. Some provinces currently provide programs with cost-sharing arrangements or nearly complete coverage. The Manitoba Pharmacare Program is a great example of this kind of drug benefit. Coverage is based on total family income and the amount you pay for eligible prescription drugs. You must pay a portion of the cost for your eligible medications to meet your annual pharmacare deductible, which is based on your family income. Another example of a benefit that covers some prescriptions is associated with the Ontario Health Insurance Plan (OHIP). OHIP+ was introduced at the beginning of 2018. It covers anyone under 24 years old who have a health card number and eligible prescription. In fact, it covers most of the cost of over 4,400 prescription drug products, including allergy shots and diabetes-related products. How Does Universal Pharmacare Impact You? Unfortunately, many Canadians are struggling to pay for their medication needs. As a 2018 report found, Canadians have forgone basic needs because of the cost of their drugs. Nearly 730,000 people forwent food, about 238,000 didn't get heat, and approximately 239,000 didn't cover other healthcare expenses. All of these sacrifices were made just to pay for their medications. If pharmacare Canada introduced universal coverage, access would be greater. It would also reduce costs for the public. But the main concern surrounding this proposed change is cost. Governments will need to raise revenue to pay for this publicly funded program. Higher income Canadians will likely pay more taxes. As some people say, universal pharmacare can be seen as a transfer of wealth. But this measure doesn't mean every drug will be free. Not everything is going to be covered. Currently, public drug plans determine what is and isn't covered. Factors that are considered include the usage, the need, efficacy, and price of the drug. In terms of efficacy and price, the Canadian Agency for Drugs and Technologies in Health (CADTH) plays a big role in making recommendations. This independent national organization looks at new drugs to determine what ones should be recommended to provincial plans. Many experts suggest that universal drugs would save you by giving national insurers better bargaining power. Here's the current underlying issue -- Canada can't reduce drug costs without getting smarter about price negotiations. When they cover their entire population, they have higher purchasing power. So they can land more affordable prices that are in the same realm as comparable countries. In the meantime, there are other ways for the general population to save. One of the most popular options is online pharmacies. Online pharmacies offer generic medications at a fraction of the price of popular pharmacies. Plus, they deliver directly to you, so there's no hassle in going to a pharmacy. They're worried about safety first and foremost. This is for good reason. Unfortunately, there are several illegitimate online pharmacies that operate without legal considerations. These are called rogue online pharmacies. They often offer to sell drugs to those without a prescription. Many sell pharmaceuticals that are outdated, discontinued, or even counterfeit. Counterfeit drugs are incredibly dangerous because nobody is certain what ingredients are being used. They can be lethal. Also, some rogue online drugstores can simply take your money and not send you your order. That being said, once you know how to research and safely order your drugs online, you can save big and finally get the medications you need. Plus, when you order online, you can maintain your privacy. This is especially helpful if you're struggling with a common condition you want to keep private, like erectile dysfunction. You don't need to spend big on your prescriptions. You also don't have to worry about keeping your medications private and safe. No matter the state of pharmacare Canada, online pharmacies are the most affordable, safe choice. Contact us today to learn more about how we can fill your prescription needs.